G.A.T.E.WAYS is an independent, non-funded organisation, established in 1994 to provide opportunities for highly able and gifted children with special educational needs. Like-minded students can participate in programs that will challenge them intellectually and help develop their individual talents. Both short and longer term programs in most areas of the curriculum are offered in host schools in Melbourne, Canberra, Brisbane, the Gold Coast, Sydney, Singapore, Bangkok, as well as ‘On Location’. Over the last 20 years G.A.T.E.WAYS has gained considerable recognition with teachers, parents and children in Australia for its high quality programs. Parent paid fees cover the costs of program development, administration and presentation. G.A.T.E.WAYS is widely supported by schools in all education sectors – state, independent, catholic – as well as by many parents who home-school their children. Most programs operate during regular school hours so that gifted and talented children are not penalised by having to complete their extension programs ‘on top of’ rather than ’instead of’ regular schoolwork. In any given week during the school term between 750 and 1200 primary aged children attend workshops. G.A.T.E.WAYS engages presenters who are expert in a given field or fields; passionate about their field and able to convey this enthusiasm to children; excellent communicators who love children; knowledgeable about the special needs of gifted children and how they learn; creative, flexible and skilled in terms of curriculum development and delivery. Their programs are inquiry based, with hands-on activities, problem solving and higher order thinking skills. G.A.T.E.WAYS programs are offered several times per term. Schools are given 4 places in each program per year level. A year level is determined as Yrs 1&2 combined, Yrs 3&4 combined and Yrs 5&6 combined. Students are invited to participate in a program if they possess the necessary skills or knowledge. Often we have more than four expressions of interest for each program and, over the course of a year, we attempt to nominate students so that the widest possible range of students can attend GATEWAYS sessions. At the start of each term, class teachers will nominate students whose assessment data shows them working significantly above age expectations. The families of these students will then receive a letter from the school informing them of suitable upcoming programs. Parents reply to express their interest in registering and, if places remain, students are then nominated online. At this point GATEWAYS will contact parents directly to confirm enrolment and organise payment. Parents are then responsible for organising transport to the sessions for each program. 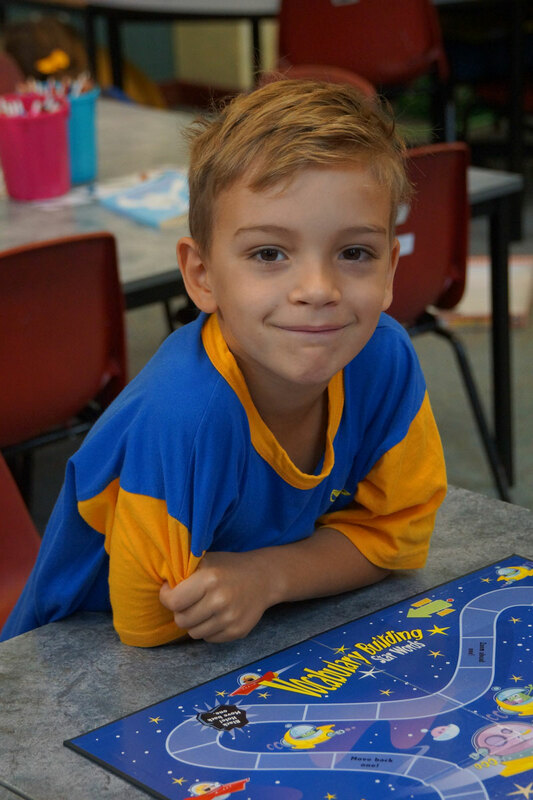 At Williamstown Primary we highly value this program for the expert learning opportunities that students can participate in, above and beyond our curriculum capabilities.